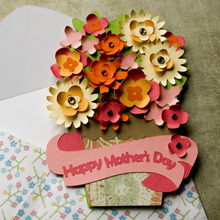 Show your love on Mother's Day with this gorgeous handmade keepsake card! You can bet Mom will show this one off to all her friends! SVG Files for every element pictured (10 SVG files) Note: 12x6 mat users, you could certainly cut out the flowers, but the card base is too big for the 12x6 mat. Envelope SVG file! Use the envelope SVG files for other projects too! Check out the product image! If you need help learning how to unzip one of our free or purchased files, click here! Mary after admiring your work it was great to see your face! I love this card. I think it would work just as well for a birthday or get well card. Mary – this card is GORGEOUS! I’m buying this kit today to make 3 cards! Thanks so much Diane! 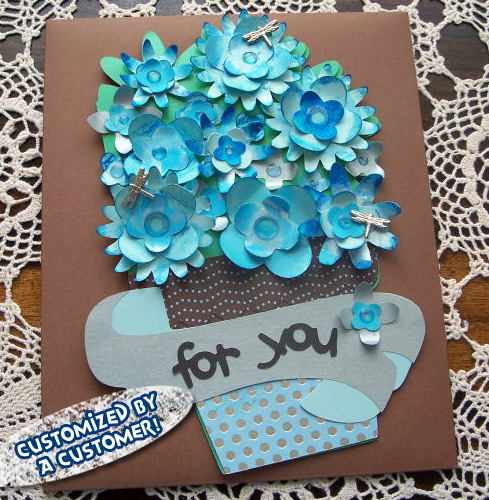 :P Oh for sure – it would be so perfect for a birthday or get well (or thank you card even!) too! Thanks Lora! Doesn’t it come out pretty?? We’re pumped about it! Great tutorial! What a versitial card! Sure enjoy seeing what you come up with–always quality! Thanks again for all your hard work to make this site so great! All I can say is WOW, Mary you out did yourself oon this one, it is absolutely gorgeous, I just purchased it and can’t wait to make it. Thanks so much for sharing your awesome talent with us. I really like your card. Thanks for the video. I think the “tool” you have is a stylus for dry embossing with stencils. thanks for the video…nice to see someone else uses their jeans to clean their hands also!!! :):) I even have an awesome apron..but always faster to just wipe my hands on my pants!! Hi Mary, Very nice presentation and tutorial to make the MD card. Thanks so much. Gorgeous! I love the video tutorials, makes it seem alot easier to understand. Thanks so much. 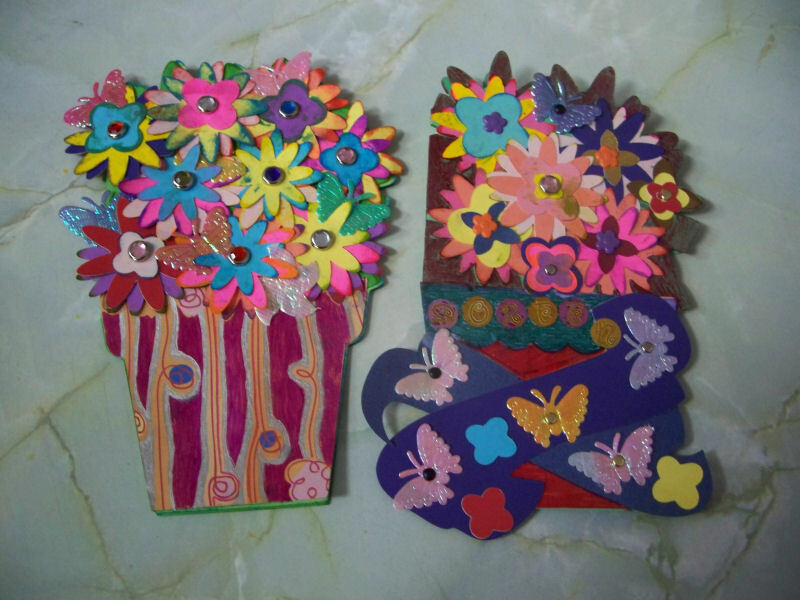 I will make one for my daughter and one for my daughter-in-law. I would like to say a BIG thank you for all the wonderful projects. All give me some ideas. I have my cricut expression and only use it once a week so I am still green.